The Balkans are in a limbo, Serbia is an extension of Russia, Kosovo has the most stable political landscape, the dialogue with Belgrade must move towards mutual recognition, the crisis in Macedonia is an internal problem. 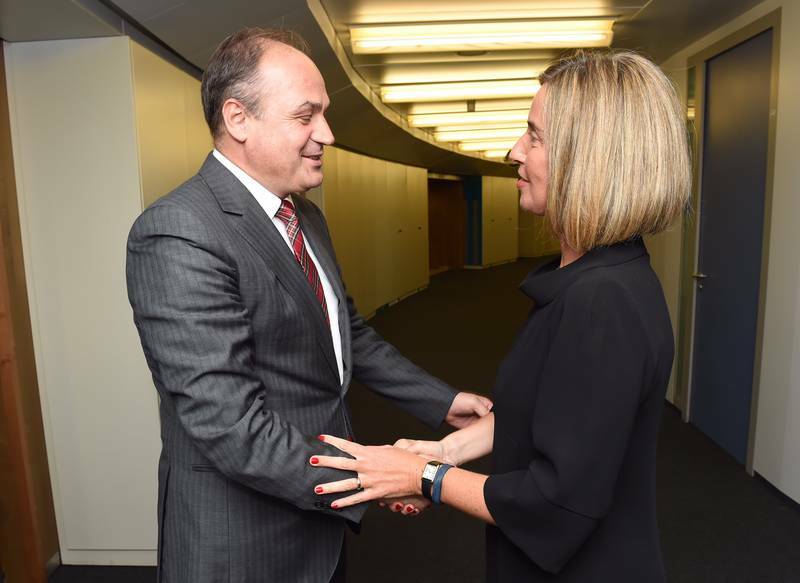 These are in brief the positions of Kosovo Foreign Minister Enver Hoxhaj on the key developments in the Balkans, which he presented during a hearing in the European Parliament's foreign affairs committee on Wednesday (May 3rd). There he was welcomed among friends, in the words of committee Chairman David McAllister (EPP, Germany). During the one-hour discussion in the European Parliament in Brussels, the Kosovo top diplomat was able to draw a pretty rich picture of the current state of the Western Balkans, which was, of course, refracted through the Kosovo perspective. The positions he stated are particularly important at a time when the EU is facing a serious failure of its enlargement policy in this area, as euinside already reported. Currently, Kosovo is the only country in the region that does not suffer from an erosion of its European ambition, just the opposite. 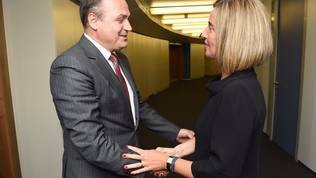 That is why Mr Hoxhaj repeatedly thanked MEPs and the EU as a whole for their support. 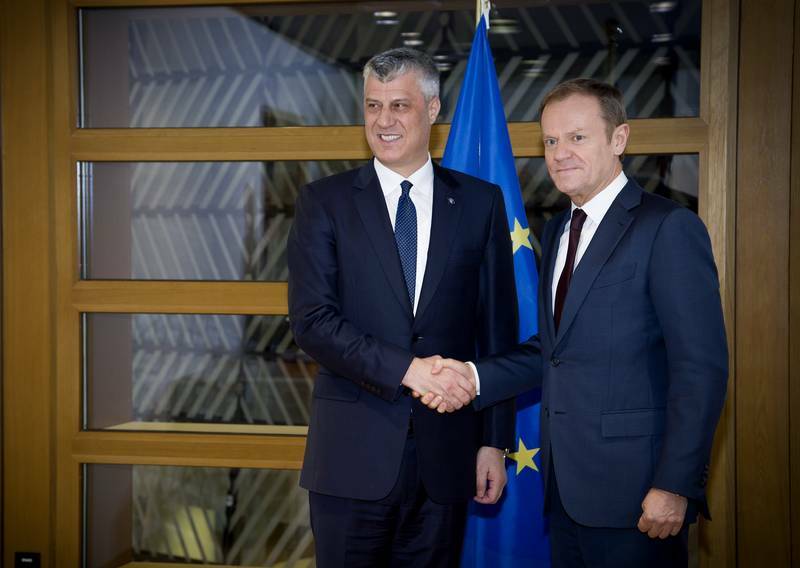 He said the recommendations coming from Brussels are a guide for the government in Priština. For Kosovo, the EU is the most important framework for modernising the country economically, politically and as a society. "Modernisation was always something which we lack in the Balkans not only in the last 20 years, but in the last 200 years", said the former political science professor at the University of Priština. This is the reason, he believes, for the Balkans moving at a different speed from Europe - because they are excluded from the modernisation process that has been running for the past 200 years. The most important task for Kosovo now is to implement the Stabilisation and Association Agreement (SAA) and the European Reform Program. He expects this to happen in the next two years. The next step is for Kosovo to apply for EU membership. 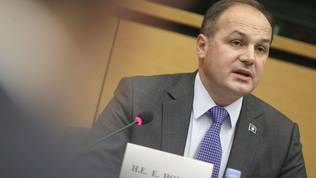 However, this will be a very difficult task, as there are some very large unresolved issues that Enver Hoxhaj touched upon in detail during his conversation with MEPs. Kosovo has so far been recognised by 114 countries in the world, but five of the 28 EU member states have not yet done so. The Kosovo Foreign Minister expressed his wonder that 10 years after Kosovo's independence there are still countries in the EU that have not recognised the country and called on them to do so as it will make the EU itself and Kosovo stronger. Currently, Kosovo is a member of 50 regional, European and international organisations and this year's ambition is to apply for membership in Unesco and Interpol. Kosovo's European path will prove impossible, not only because of the position of Spain, Slovakia, Cyprus, Romania and Greece, but also because of relations with Serbia. According to Enver Hoxhaj, the Belgrade-Priština dialogue makes no sense if it does not lead to mutual recognition. The goal of the EU-facilitated dialogue is to normalise relations between Belgrade and Priština. It is part of Serbia's negotiation process – singled out in chapter 35, which was opened first and will be closed last. Until now, however, neither the EU nor Serbia are ready to say what needs to be done in order for this chapter to be closed. The Kosovo foreign minister said the dialogue has changed something very important - the relationship between Belgrade and Priština is no longer seen as a zero sum game, whereby there is always a loser and a winner. However, if it does not lead to recognition it is totally useless. The minister believes that Serbia and Kosovo can sit down within two to three years and reach an agreement on Kosovo's accession to the UN, which will also allow the recognition of both countries in a second phase of the dialogue. It is necessary to sign a peace treaty so that the reconciliation process can begin, the diplomat said. The Kosovo foreign minister finds the current situation in the region very uneasy. In his words, the Kosovo political landscape is the only stable one in the region, which means three things - stability, security and predictability. In contrast to 2013, which he identified as the best year for the region because of Croatia's membership in the EU and the impetus it created, the situation now is considerably worse. There are two remaining serious challenges for the region, he explained - the Macedonian name issue and the internal situation in Bosnia and Herzegovina that worries Kosovo, because if the region fails, Kosovo will fail. With regard to Macedonia, he rejected all allegations of Albanian interference (through Kosovo and Albania) in the country. "But the internal situation in Macedonia, not only the last 3 months of this year but for many years, it is a polarisation within the Macedonian society, within the Macedonian community and has nothing to do with any kind of external threat ,which should come from Kosovo or which is coming from Kosovo. What we see there is different approaches of the two political parties and the question is how much democratic institutions are in place providing the country for democratic solution in a post-election time", he said, adding that no one in Skopje should attempt to create the impression that it was an intervention by Kosovo or Albania in Macedonia. At the same time, he called for the rights of the Albanian minority, which is large - 30% of the population - to be respected. Kosovo wants Macedonia to continue on its way toward the EU and NATO. In his opening remarks, the Kosovo foreign minister spoke of the unhealthy interference of third, non-Western countries in the Balkans, with much of MEPs' questions relating to the role of Russia, which the minister said was non-existent in Kosovo itself, due to political, cultural and domestic reasons. "But I think there are some countries in the region who are in a way geopolitically, but also internally, an extension of Russia. And I think you should have a focus [on] what kind of a cooperation Serbia is having with Russia", the minister said, and gave as an example the Russian humanitarian centre built in Niš in 2011, which he called a military base. In his words, this base is not too far from BiH, Montenegro, and Bulgaria, and he finds its presence alarming. He reminded that in 2000, still as prime minister of Russia Vladimir Putin stated at the Zagreb Regional Summit that after the Black Sea region the Western Balkans were the most important priority for Russian foreign policy. "At that time we didn't take that very seriously, but what we're seeing in the last 2 or 3 years is a kind of return of history, which is worrying us", said Enver Hoxhaj. In his words, Russia uses all possible tools - diplomatic, economic, trade, energy, and even soft power - to shape the internal situation in the region. And it being in a limbo, creates the best environment for Russian activity. That is why a strong commitment of the EU and NATO to the region is key, the minister said. "I think you shouldn't give up because of sometimes internal domestic context at each member state, but you should have clarity where the region should be in the next 10 years to come", he said. Asked by former Slovenian prime minister, now EPP MEP Alojz Peterle and Foreign Affairs Committee Chairman David McAllister about Serbian Prime Minister Aleksandar Vučić's idea of establishing a customs union in the region, Enver Hoxhaj stated his strong opposition. In February, Aleksandar Vučić launched an initiative backed by other prime ministers in the region to boost economic integration in the Western Balkans region. And in March, EU Enlargement Negotiations Commissioner Johannes Hahn (Austria, EPP) proposed the creation of a common market for the Western Balkans, similar to the EU single market. "Our ambition is to remove barriers and to create a single space for economic development, which will also clarify the long-term goal of integrating the Western Balkans single market into the EU internal market", Mr Hahn said at a regional summit in Sarajevo on March 16. 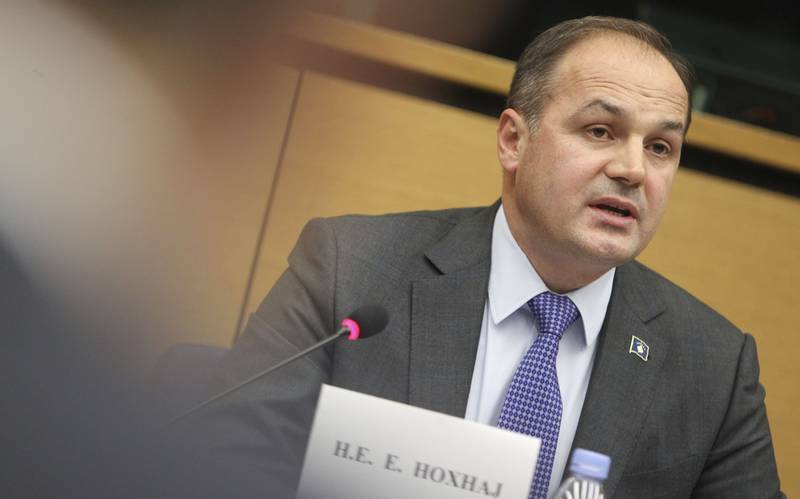 As a first reason for Kosovo's resistance, Enver Hoxhaj pointed at Russia. "I think, if some countries in the region are having free trade agreements with Russia, and somebody is suggesting to have a free market there you should ask yourself if this free market should be extension of the European market or of the Russian market. And I think this is a very serious geopolitical question", he said. Another reason for the Kosovo resistance is that Serbia and BiH have not yet recognised Kosovo, and BiH has even introduced visas, which is a serious obstacle for companies and entire sectors. "What kind of a meaning would this regional market have? ", the minister asked. He expressed concern that the idea of the Balkan common market would be a kind of replacement for the enlargement policy. Kosovo is the only country in the Western Balkans region for which visa liberalisation is not yet in place. The MEP rapporteur for Kosovo in the European Parliament, Ulrike Lunacek (Green/EFA, Austria), noted that Ukraine and Georgia, which are not even part of the enlargement process, have already been granted visa liberalisation. The only obstacle to Kosovo currently is the ratification of the demarcation agreement on the common border with Montenegro. The Kosovo Parliament has been failing for two years to ratify the agreement, which has often been the cause of clashes in the Kosovo Parliament and even the use of tear gas. The problem is more of an internal political nature than something linked to the border with Montenegro, as confirmed by Enver Hoxhaj. 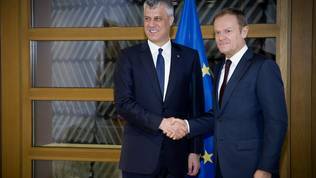 He said the demarcation between Kosovo and Montenegro is not an inter-state problem and stressed that relations with Podgorica are excellent. He said that within a few days the parliament is expected to vote again on ratification and hoped that this time the votes would be enough. "To be very frank, I'm also very frustrated why this issue has been postponed for years. But you know much better than me that sometimes dynamics within the parliament are dynamics within the parliament", he told MEPs. Although he tried to answer all questions, one was left unanswered. Sandra Kalniete (EPP, Latvia) asked what the prospect of normalising relations with Serbia is after the return in Kosovo of former Kosovo Liberation Army officer and leader and former prime minister Ramush Haradinaj. His return became possible after a French court rejected Serbia's extradition request on war crimes charges. The ruling sparked anger in Belgrade, including the recall of the Serbian ambassador to Paris. This question remained unanswered. Enver Hoxhaj was laconic and not particularly persuasive in responding to the question of ever-increasing calls for Greater Albania. He also said in his opening remarks that Kosovo will forever remain independent, but that did not convince MEPs who wanted to know how realistic those ideas were. "I think Kosovo is an independent state, will remain an independent state, and we would like to have a relation with EU, which is stronger", he said. It seems obvious that the only Albanian (Kosovo) alliance is with the USA I would find that very troublesome if I was a Albanian resident in the Balkans.